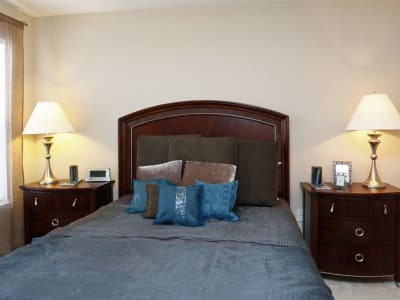 At Park at Clearwater, we pride ourselves on creating an inviting atmosphere for our residents and their guests. Our Aberdeen apartments have been carefully curated to include the essentials for daily life, as well as elegant designer touches. Each of the homes at Park at Clearwater includes washer and dryer connections, which makes taking care of your laundry a breeze. Extend your living space outdoors with convenient and welcoming private patios and balconies. Ceiling fans provide airflow and help create an inviting space you’ll be eager to share with friends and neighbors. Select homes at Park at Clearwater include vaulted ceilings, which add an open feel to your home. 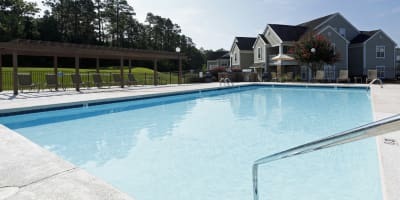 Experience all that Park at Clearwater offers residents when you take advantage of the shared community amenities included throughout the grounds. Our pet-friendly apartments in Aberdeen include an onsite dog park, a favorite amenity of both residents and their canine companions. Take a refreshing dip in the sparkling swimming pool at Park at Clearwater or relax in a poolside lounge chair with a new book. Ditch your old gym membership and work out from the convenience of your apartment community. Our large fitness center makes it easy to keep your health and wellness a priority. Enjoy a superior community experience when you move into Park at Clearwater. Get a sneak peek of our features and amenities on the Photo Gallery page.